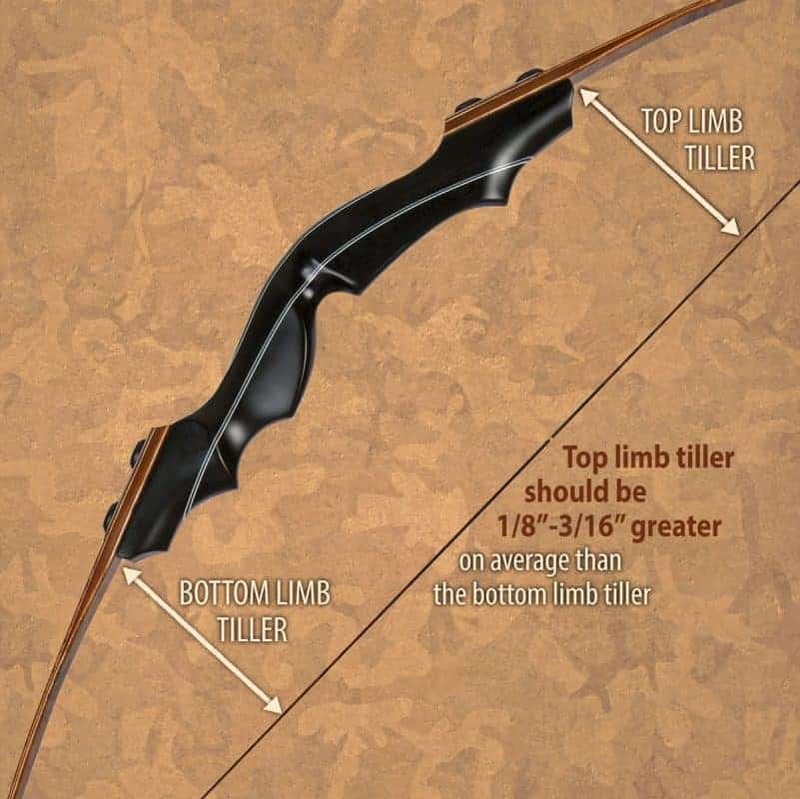 Most shooters — regardless of preferred shooting style — draw a traditional bow at a more severe angle on the bottom than on the top. Basically, the bottom limb is drawn a bit farther than the top limb each shot and the top limb gets a head start on the bottom limb upon release. In order for the limbs to close at the same time, the bottom limb must be a bit stronger than the top limb in order to catch up. This allows the bottom limb to close a bit faster than the top, bringing the string into both limbs simultaneously. This is called “tillering” — adjustments made during bow production to ensure that limbs are in sync with one another. Category: Bow Care and Maintenance | Tags: arrow flight, noise reduction, tiller, tillering your bow.